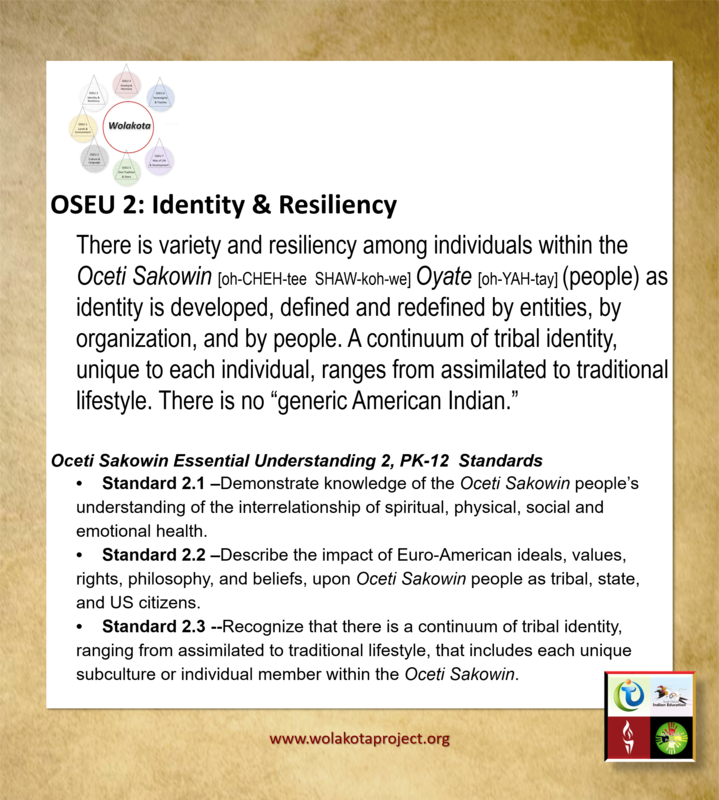 If you haven’t already, you can download the OSEU document here! 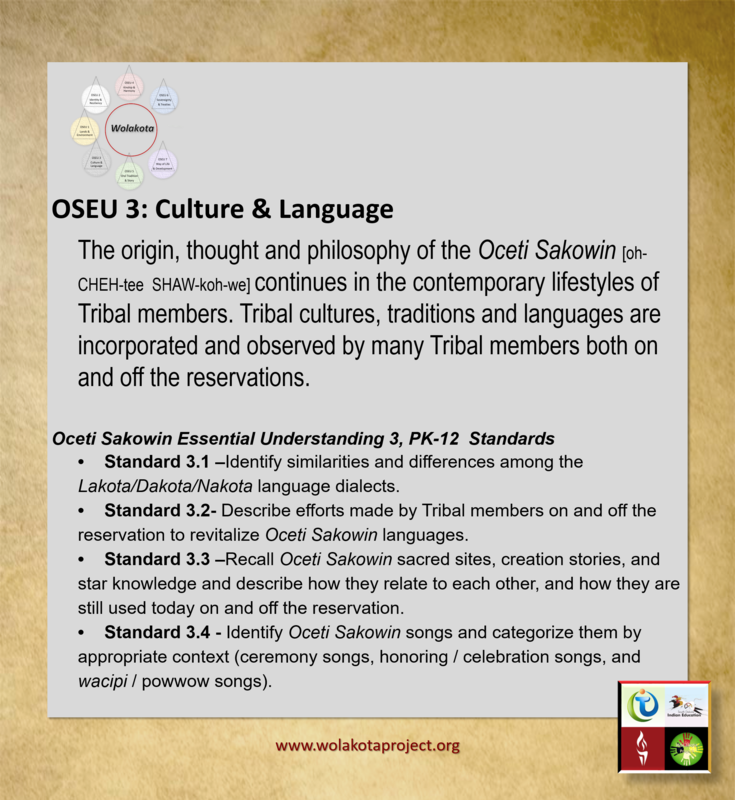 In this unit, you’ll be getting to know the first 4 Oceti Sakowin Essential Understandings through reading, viewing and reflecting upon the understandings themselves and video interviews with Dottie LeBeau, one of the original authors of the understandings, and Dr Cheryl Medearis, Dean of the College of Education at Sinte Gleska University established in Mission, SD by the Rosebud Sioux Tribe. 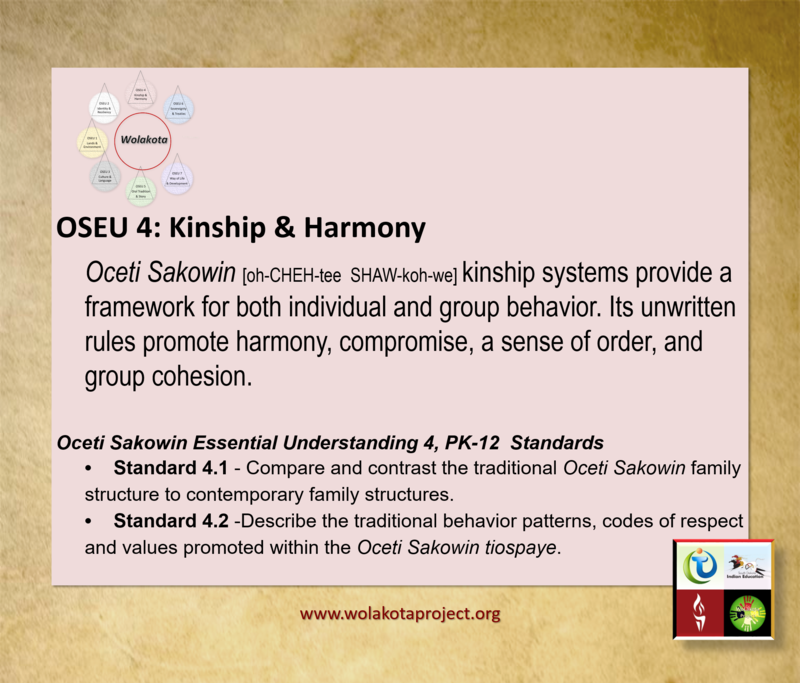 After reading each Understanding and its accompanying standards and viewing each set of introductions by Elder Dottie LeBeau and Dr Cheryl Medearis, use the survey links to journal reflectively about your initial sense of each of the Oceti Sakowin Essential Understandings. To learn even more about each of the understandings, read the extended descriptions for each. 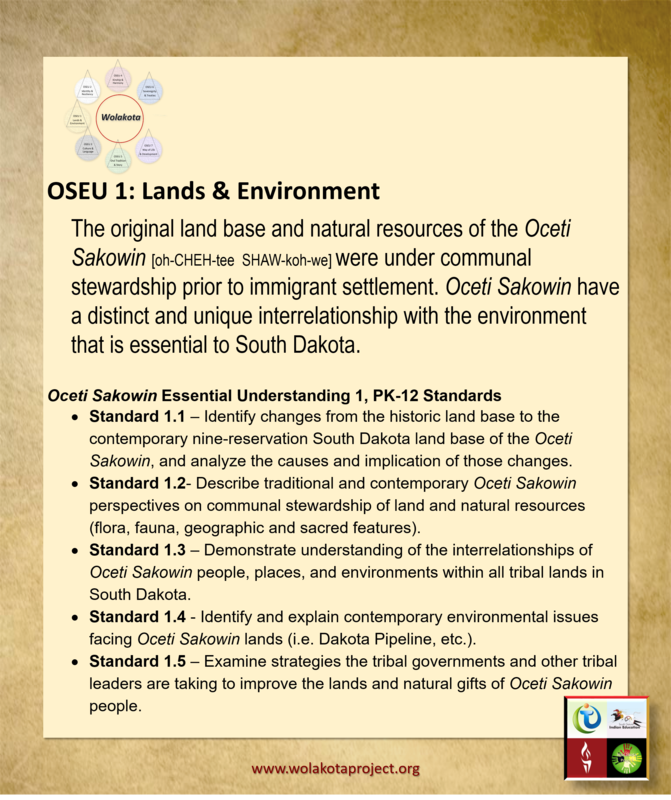 These are included in the OSEU document itself, and can be found at the bottom of each of the WoLakota Project OSEU Elder interview main pages.